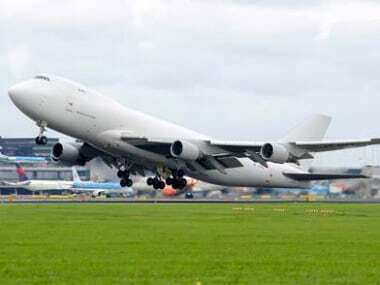 In view of the rising demand for in-flight connectivity (IFC), the Telecom Regulatory Authority of India (Trai) on Friday issued a consultation paper on the same where it has asked the industry stakeholders about what type of IFC services should be permitted in India. "Which of the following IFC services be permitted in India? a. Internet services b. Mobile Communication services (MCA service) c. Both, Internet and MCA," the consultation paper asked. The consultation paper on 'In Flight Connectivity' has sought written comments on the issues from the stakeholders by October 27, and counter-comments by November 3, 2017. "It has been noticed that there has been increasing interest and demand for broadband connectivity (both voice and data) to passengers on board a flight. As per one estimate, the number of connected commercial aircraft is expected to grow from 5,300 in 2015 to 23,100 in 2025, accounting for 62% of the global fleet," the consultation paper said. "Although in-flight Wi-Fi hasn't been available for very long, passenger surveys show growing demand for this service among travellers. International Air Transport Association's (IATA) 2014 global passenger survey reveals that 80% of the passengers would use Wi-Fi if offered on board a flight," it added. Satellites are shaping a new age of IFC. New satellite technologies are making it possible to provide ubiquitous coverage across the globe. It is possible for the passengers to have telecom services in the aircraft travelling at 800 km per hour and 10,000 meters in the sky due to satellite-enabled connectivity. "As technologies to provide such access have developed, so too have consumers' expectations. They desire seamless connectivity regardless of their location - whether on land, in the air or on the sea. New advances in technology mean more flyers have access to telecom services than ever before," the paper said. "If MCA services are permitted in Indian airspace, what measures should be adopted to prevent an airborne mobile phone from interfering with terrestrial cellular mobile network?" the consultation paper asked. "Do you foresee any challenges, if the internet services be made available ‘gate to gate' i.e. from the boarding gate of the departure airport until the disembarking gate at the arrival airport," it asked. It also asked about the restrictions and regulations to be adopted for the provision of IFC in the airlines registered in India. "What restrictions/regulations should be in place for the provision of IFC in the foreign airlines? Should the regulatory requirements be any different for an IFC service provider to offer IFC services in Indian airspace in airlines registered outside India vis-à-vis those if IFC services are provided in Indian registered airlines?" The consultation paper also puts forward how the IFC service providers should be charged in the cases of a foreign registered airlines and Indian registered airlines.